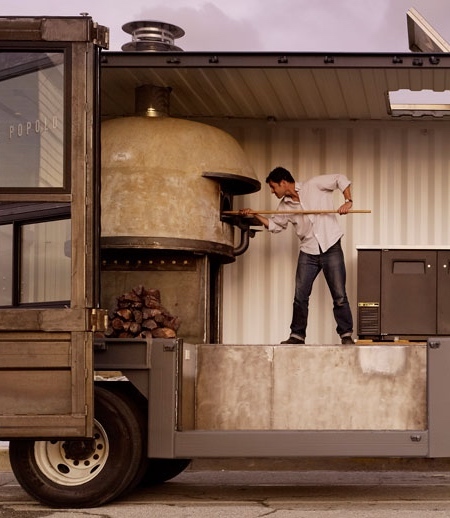 Recycled shipping container transformed into a food truck that serves pizza. 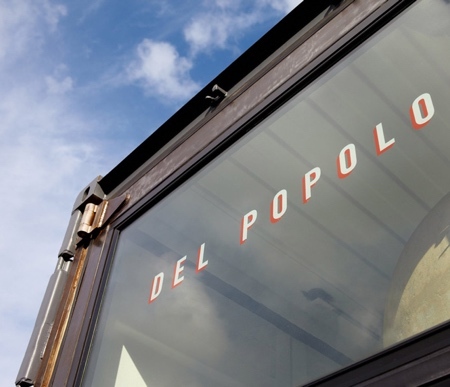 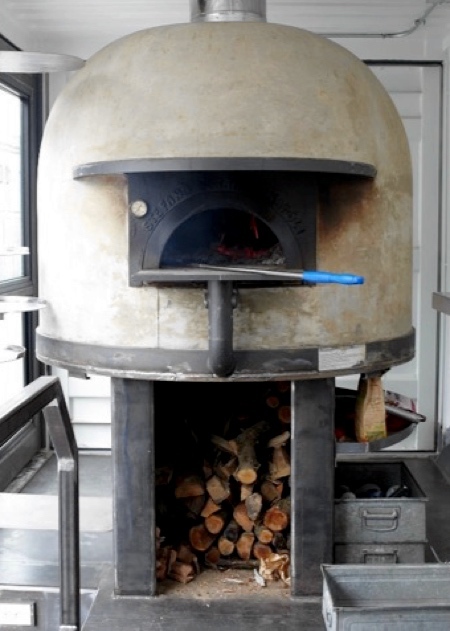 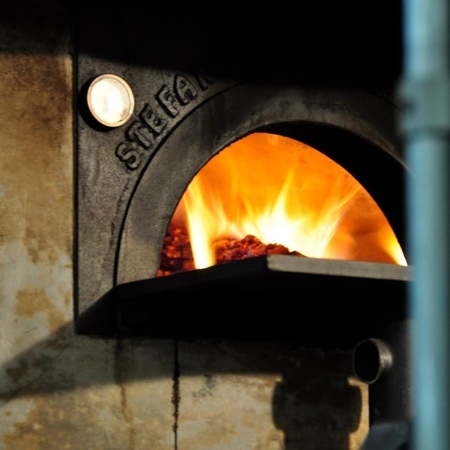 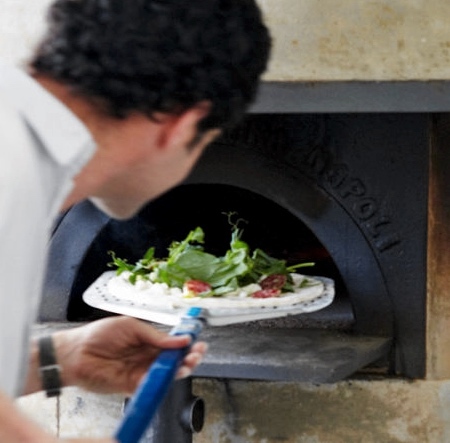 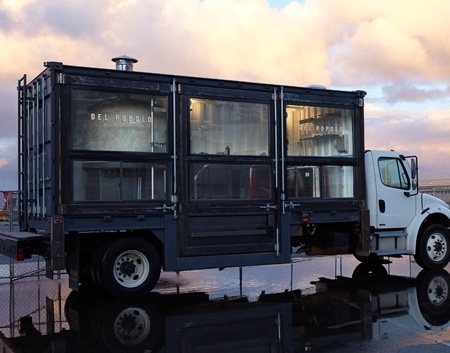 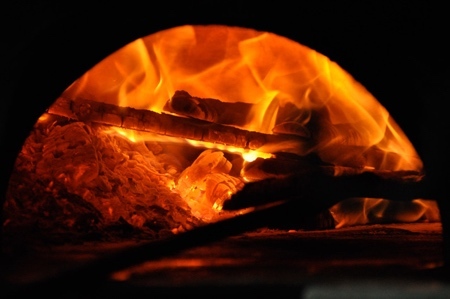 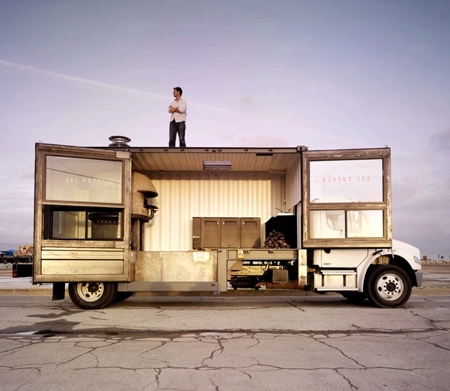 “Del Popolo” pizza truck features large glass windows and traditional wood fired oven from Italy. 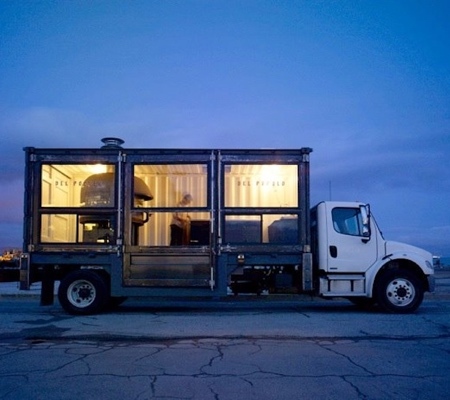 Pizza truck travels around San Francisco.